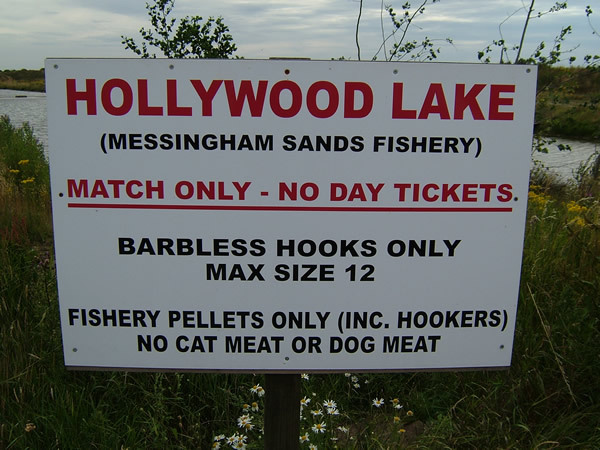 This is my second day in succession of fishing at Messingham Sands. Yesterday went pretty well with a second place finish on the Island pond with 114lb; hopefully I can go one better today, “well fingers crossed any way.” Today we are on Hollywood Lake, which is a canal styled lake approximately 30 meters wide, with 30 extremely well spread out pegs. The lake like all Messingham lakes is stuffed to the rafters with: Carp, Crucians, Skimmers, Ide and Tench. As I was the one doing the draw I would have to do with what was left in the bag; peg 6 was to be my home for the day. Nearly all the pegs on this lake are identical, so no real peg stands out as a flyer. On arriving at my peg, I was faced with flat calm water, but so was everybody else. There were fish topping everywhere on the lake, things definitely looked promising. For today’s approach I will be going with a 4 pronged attack. For the far side line I will be setting up both a bomb rod and a pellet waggler rod. The bomb will be the main far side approach, but the pellet waggler will give me an alternative method to try. The pellet waggler will also give me the option of fishing shallow short of the far side, which enables me to cover a large amount of water. On the pole front I will be setting up a shallow rig to fish at 13 meters. I will also be setting up a margin rig to fish down the right hand side, as there is a large amount of floating weed in the left hand margin. For the far side line I will be using 8mm fishery pellets on both the bomb and pellet waggler. For the shallow line I will be using 6mm fishery pellets and for down the side my usual loose groundbait and corn approach will be utilized. I started the match by casting the bomb tight to the far side, and started feeding both the bomb and pole lines regularly. My intention was to fish the bomb for 30 minutes, then switch to the pole once fish had settled in the swim. The first bite on the bomb came after 5 minutes when the rod tip ripped round; a decent battle commenced, then a few minutes later the carp around 4lb was safely landed. slapped the rig over; before I even had time to feed, a bite, a quick lift and elastic streamed from the pole. Keep The Swim Topped Up! Before shipping the pole back I fed the swim to make sure there were fish ready for the next put in. After a good battle on light gear the fish was safely landed, a Mirror Carp around 6lb. The next 2 drops in resulted in 2 more nice Carp, and the next 5 drops after that resulted in small Crucians around 3 oz a piece. All the time I fished the pole this pattern seemed to occur, I would get a couple of Carp then a few Crucians. In a bid to get the Carp feeding confidently and bully the Crucians out the way, I tried the pellet waggler; but I upped the feed rate on the pole line. The first cast on the pellet waggler resulted in an instant bite, another carp was on its way to the net. Two more casts resulted in 2 more fish, then for some reason no more bites materialised??? A switch to the pole changed this, as upping the feed had worked a treat; I was now catching Decent Carp on a really regular basis. I did feed and try the margins, but this didn’t produce anything at all, but the pole line more than made up for this though. At the end of the match I had had another fantastic days fishing; the scales arrived and after 5 weighs I totalled 133lb 4oz which gave me the match win, and another brilliant day at Messingham Sands! On the way to Messingham, myself and my travelling buddy Bri Peck @ Fishing Republic Hull, were chatting about what peg we would want to draw today. I said I would be more than happy to draw peg 17, as this is where I had caught my personnel best weight a few weeks earlier, being 201lb, 13oz. On arrival at the venue, the banter started immediately regarding what peg I was going to choose today; anyone would think I’d been drawing well lately! peg, and with the smile still on my face I was faced with flat calm water, plus there were plenty of fish milling about on the surface. 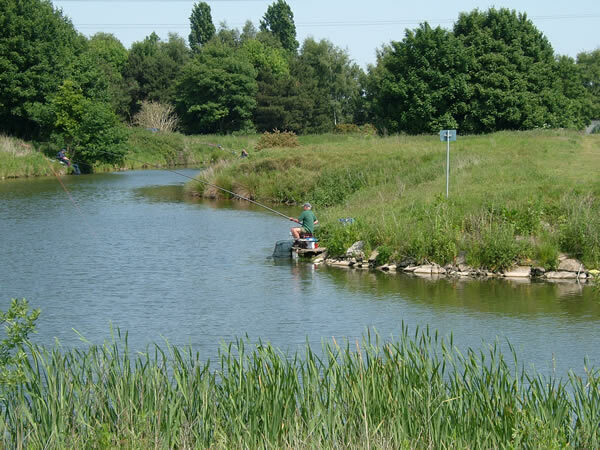 This peg gives you plenty of options; there is an island to left, which starts around 15 meters away from the bank and is around 40 meters long. There is also a bed of lily pads around 15 meters along the island. In front of me there is a good area of open water and to my right I have another island, which is a 40 meter cast. Down the sides I have overhanging trees and some reeds. My approach was going to be similar to my last visit; I am going to go with a three pronged attack. 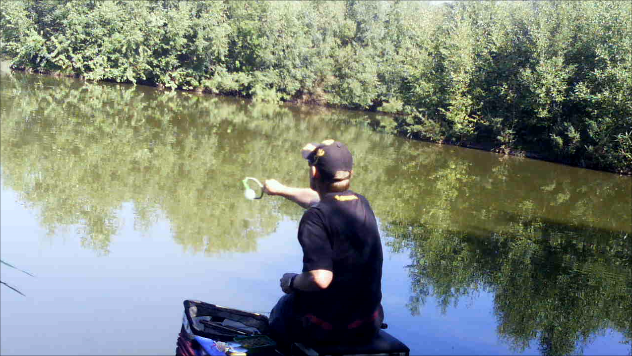 I plan to fish the Bomb to the right hand island and target the open water near to the lilies with the pellet waggler. 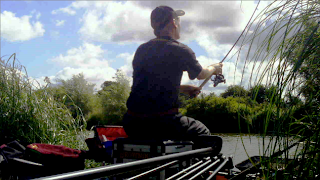 For later in the session I plan to target the margins with a pole approach. This is going to be as last time very simple, fishery 11mm pellets are going to be the main bait, as I am going to use these for both the bomb and the waggler. I am also going to mix up some ground bait; which I will feed loose through a pole pot down the edge to my left. I also have some corn for use on the hook for the margin line. I have set 2 of these rods up and both have identical set up. On the all in I cast the bomb to the right hand island, and started feeding both the bomb and pellet waggler line with 11mm pellets. The reason for starting on the bomb was that I learned from the last match on this peg that the pellet wag line needed plenty of time to settle before trying it. My first bite came after 5 minutes and after a healthy battle, a Common Carp around the 4lb mark was safely netted. I recast the bomb and continued my feeding regime, this time nothing for 5 minutes, so I reeled in and recast. This is something I like to do in the summer as recasting regularly can sometimes trigger the fish into taking the bait much quicker. After 4 recasts I hook into another fish and after another proper battle a Carp around the 6lb mark is safely netted. I decide to give the pellet waggler line a try as I have started having signs of feeding fish whilst feeding the pellets. This is to no avail, which is extremely frustrating as I know fish are there. I give it 20 minutes, recasting every 30 seconds or so trying to trigger a fish into taking my hook bait; but unfortunately nothing happens, so I decide to pot in some groundbait down the left hand edge with a few grains of corn; I then retry the bomb whilst the pole line settles. Again nothing comes of it, so I decide to try the pole line. I bait up with a single grain of corn and lower the rig over the baited up area; the float hardly has time to settle before it is gently pulled under, producing a decent sized skimmer. The next put in again produces another, then I am plagued with small roach. I change to double corn in a bid to deter the roach and this has the desired effect, as the next put in produces a Carp of around 3 lb. I re bait the margin line with a full pot of ground bait and switch to the pellet waggler. We are now 3 hours into the match and I am really struggling, fingers crossed the pellet waggler line will start producing. I have kept feeding regularly on both the wag and bomb lines. The switch to the waggler line produces an instant bite and a much bigger fish is hooked. The fish tries it s hardest to get into the lily bed, but fortunately I manage to drag it away and into the net. This Mirror Carp is around 9lb, and is just what I needed! The next 3 cast all produce carp, which I mange to land; I then lose 3 on the bounce, which all drag me into the lilies. The rest of the session is spent on the pellet waggler as the swim has really come alive. I manage to land plenty more carp and also lose plenty in the lily pads. The whistle sounds for the end of the match, and after a number of weighs I total 114 lb 4oz, giving me enough for 2nd behind a very happy Gary Chadwick, who had won from the golden peg with a 117lb. Well done Gar! Today was the final match of a 6 match series spread over 2 venues and 6 lakes. 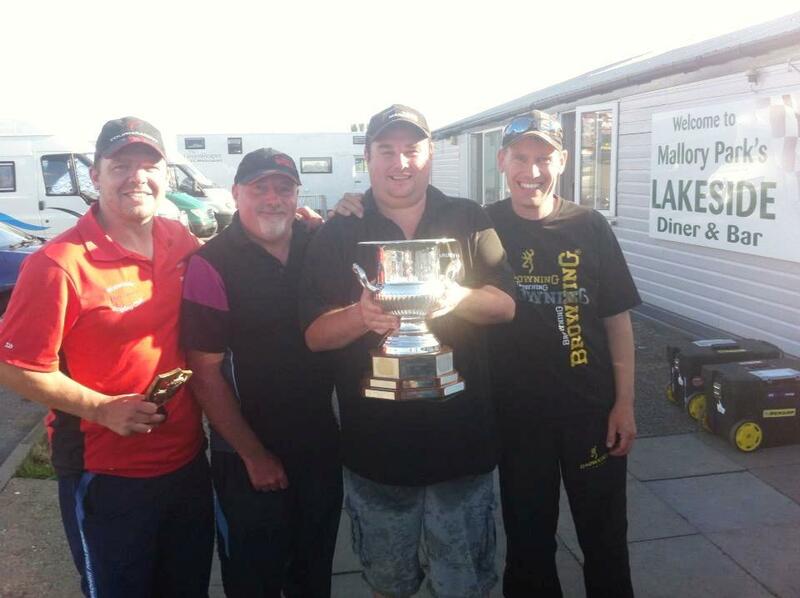 The venues and lakes already visited are Bonsai, Oasis and Loco at Lindholme Lakes, and Island and Swan at Messingham Sands.Today’s match is on Tripp pond, which is part of Messingham Sands mega portfolio of lakes. It is stocked to the rafters with Carp, Crucians, Skimmmers, Chub, Ide as well as a whole lot more. This is not an all out Carp water as catches of 100lb of Crucians and Skimmers are regular occurrences. hand certainly didn’t let me down again today. 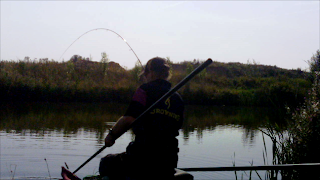 Peg14 was to be my home for the day; this is a peg I have drawn a few times before and it can throw up some good weights. On arrival at my peg I was met with flat calm water with the wind blowing the opposite way. With some pegs you might worry about this but this peg has good fish holding features. It is in a corner of the lake with the full left hand bank covered in reeds, the right hand side has an overhanging tree and a few reeds over a top kits length away. This has been cleared out since my last visit. I am going to set up a couple of rigs for fishing at around 8 meters, I am going to fish 1 at a 10 o'clock angle and 1 at a 2 o'clock angle. On the 10 o'clock line I am going to use fishery expanders on the hook and feed them. On the 2 o'clock line I am going to feed micros and fish paste over the top. I am going to set up just 1 line for the margin and this is to my right. The reason been, the Carp in this lake are beyond control when fishing near the reeds. Even before your float buries they must be already half way through the reed bed; giving you no time at all to lift the pole and get them away. It is as if they aim themselves at the reeds before taking the bait! The final line is a shallow line at 13 meters, this is an all else fails line. As you have read above, I will be using fishery expanders for the 10 o'clock line, and micros and paste for the 2 o'clock line. 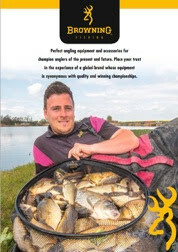 For the shallow line I will be feeding and fishing hard 6mm fishery pellets. For the margin I will be feeding loose groundbait and fishing dead red maggots on the hook. I have also cut up a tin of meat as a change bait for this line. I started the match by potting in half a pot of expanders on the 10 o'clock line, and a full pot of micros with a few pieces of paste on the 2 o'clock line. I started on the expander line as in previous trips it has given an instant response. Today was no different as on the first drop in I hooked into a small Crucian Carp, which was soon in the net. The next put in I fed a few expanders via pole mounted toss pot and lowered the rig over the top; instantly the float slipped away and I was hooked into something much bigger. It headed straight for the reed bed to my left and after a bit of a battle the hook pulled out. The next few drops in only produced some small Roach, so I re-potted half a pot of expanders and opted for the paste rig. This produced a couple of Crucians and an F1 Carp before the bites dried up. For the next 20 minutes I alternated between the 2 lines but the fish were not playing ball! 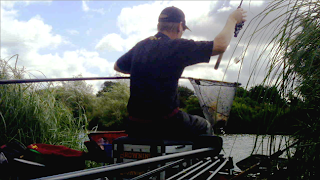 I decided to pot in 3 pots of loose ground bait down to my right hand side, a top kit plus 1 section distance away. I left this line to settle and tried the shallow line, which I had been feeding regularly via catapult. 2 quick carp which were really small were the only 2 bites on this line. I may have given it longer had I not seen a shed load of action over my feed down the edge. A change to this line was almost impossible to resist as some of the carp here were proper misters. I baited up with around 10 dead red maggots and lowered the rig in slowly. 10 seconds later the float buried and there was an almighty eruption as I hooked into a decent Carp in the shallow water. After a decent battle the fish was netted, a fighting fit Common Carp around 5 lb. I re-potted 1 pot of ground bait in and lowered a freshly baited hook over the top. After a minute or so the same happened, another nice Common was then safely netted. This was to be my line for the rest of the session. I maintained feeding a pot of groundbait after every fish, which kept the fish there in numbers. At the end of the match I knew I had a decent weight, and after a few weighs a total of 137lb 15oz was the result; this gave me the match win AND the series win! In the series I had managed to win 4 of the matches, all three Lindholme matches inc today’s match, I also had good results in the other 2. Island pond is to me the jewel in the crown at Messingham Sands. It is renowned for its large and hard fighting Carp, but it is also stuffed to the rafters with a massive variety of silver fish. Shaun, the bailiff has given us a good selection of pegs for the match today, with any of them capable of winning the match. As I am doing the draw, I have to do with what’s last in the bag. I am certainly not disappointed when I am left peg 17, as this is an area I have had some good success and big weights in the past. On arrival at the peg I have a pretty much flat calm peg, as the wind is right off my back. There are plenty of fish cruising about on the top; I am just praying they feed! This peg has plenty of features and open water. I have an island to my left which starts around 15 meters from the bank and is roughly 40 meters long. There is a bed of lilly pads about 15 meters down the island. In front of me I have a good area of open water, and to my right I have another island, which is a 40 meter cast. Down the sides I have over hanging trees and some reeds, which will hopefully hold plenty of silver fish and later some Carp. My main approach is going to involve the bomb and the pellet waggler. My plan is to fish the pellet waggler into the open water slightly beyond the lilly pads and fish the bomb to the end of the island to my right. I am going to set up a pole line, for targeting the silver fish down the side and a separate rig for the Carp later in the session. I decided because I could see plenty of fish cruising around, to start on the pellet waggler. I started feeding 2 or 3 11mm pellets every 20 seconds and keep casting regularly. It was around 15 minutes before I hooked in to my first fish, a Carp around the 5lb mark. After safely netting the fish I spent 15 more minutes on the waggler without a bite. A switch to the Bomb line produced 5 Carp in 5 casts. I had been feeding this line regularly whilst feeding the pellet waggler line. The signs were getting stronger on the pellet waggler line that the fish were beginning to feed confidently, as swirls after feeding became common place. So a change back to the pellet waggler produced a bite almost instantly, resulting in a Carp around 7 lb. For some reason I could hardly get a bite, even though they were feeding well. The next fish I managed to hook felt monstrous and it charged straight through the lilies snapping me off; this is where my fortunes changed. Instead of retackling up the power rod immediately, I picked up the medium rod I re-fed and cast out, the float buried instantly and I was in again, another nice Carp. This happened another 3 times in the next 3 casts. I had a couple of casts without a bite, then the cast after another fish. I found the secret was to get the float to make the perfect plop, just like the pellet, the 3 gram float was perfect for this, and this almost guaranteed a bite. If the float made any other noise than the plop, there was no point of leaving the float in place as no bite materialized. These are extremely wise fish! I decided to rest the wag line and have a go back on the bomb, resulting in more fish. This gave me the incentive to spend the rest of the session switching between the 2 lines, which ensured the action remained fast and furious. As the all out sounded, I can honestly say I was knackered, these fish are so fit and strong it is like they are on steroids!!! The scales arrived and I was over the moon when the total reached a personnel match best of 201 lb 13 oz. This gave me the match win by close to 100 lb. What a day! This was my first ever visit to the Glebe Fishery in Leicestershire, and to say I was impressed is an understatement. The day started early, as the alarm clock started ringing at 4:20 am. I didn't realize there even was a 4:20 am, but there is!!! drawing of our pegs, and when he came back bouncing, we knew we had some reasonable pegs. My peg for the day was peg 72 on pool 4, not the best of the bunch, but still ok. On arrival at my peg I discovered the lake was fished from just one bank, and the pegs were well spread out. The Far side was a good 40 meters across, so a good chuck would be required. After a bit of advice, I would start on the feeder, which due to rules would be a standard cage feeder with a 20” hook length. I also set up a bomb rig again with a 20” hook length. For pole rigs I set up 3, 1 shallow rig, 1 margin rig and a rig for the top2 plus 2 line. On the bait front I had brought just about everything I could think of apart from meat. This included micro’s, 4,6and 8mm pellet’s, dead maggots, casters, a tray of corn, hemp and a load of ground bait. I planned to feed ground bait through the feeder with dead maggots and a few micros in the mix with dead maggots on the hook. For the shallow pole line my plan was to feed and fish 6mm hard pellets. For the top 2 and 2 line, corn and micros would be the bait of choice. For the margins I would feed ground bait and fish a corn hook bait over the top. I started on the feeder to the far bank with dead red maggots on the hook and ground bait packed with dead maggot and a few micros in the feeder. It took all of 30 seconds before the tip wrapped round and the first fish was on its way to the net. A Carp of around the 3lb mark was soon in the net. The first 6 casts produced 6 Carp, all of which fought for their lives. 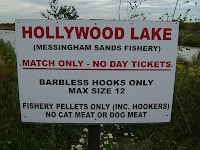 I have only been to one other venue where the Carp are so fit and strong and that’s Messingham Sands Nr Scunthorpe. After such a good start I thought I was on to a winner, but how wrong was I! The bites dried up as quick as they arrived. I persevered for a good 30 minutes, casting regularly to get some feed down hoping the Carp would return; this was to no avail. A change of line to the top 2 plus 2 line didn’t do much either, which I had fed with micros and corn 10 minutes before trying it. 1 small Carp in 15 minutes was the only bite the line produced. So I potted some more bait in and tried the feeder again. It took 5 minutes and a couple of casts for a bite to materialise. To make matters worse the fish come off half way across “gutted”. I kept swapping and changing between lines before taking some drastic action. I decided to start a new line altogether and feed it completely different to the other swims. The line was again on the top 2 plus 2 but instead of at the 10 o'clock angle I had been fishing at, I altered it to a 2 o'clock angle. For feed I potted in a big ball of ground bait and half a pot of casters. I left it 5 minutes to settle before going on it. The first 2 drops in produced 2 decent sized flying Bream. They both must have jumped 4 feet out of the water 2 seconds after been hooked. The next put in produced a Carp around the 4 lb mark. Then the bites slowed again so I re-fed, producing a couple more fish. At this point I re-fed the line and also fed the line at the 10 o'clock angle with ground bait and casters. This gave me chance to alternate between the 2 lines and keep the fish coming. At the end of the match I was happy I had worked out a way of catching steadily, but disappointed I had not done it sooner. I weighed in 60lb 13 oz. On arrival back at the Café, the other lads had fared better; Brian had a section winning 157lb, Tony a section 4th with 114lb and Craig a section 4th with 90lb. My result was a 7th in section. As the results were read out at the presentation we were all apprehensive, “ had we done enough?” the answer was yes by a very narrow margin. 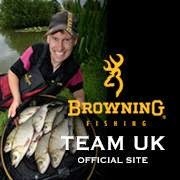 What a cracking result, cracking day and cracking venue & I for one am looking forward to returning next year.